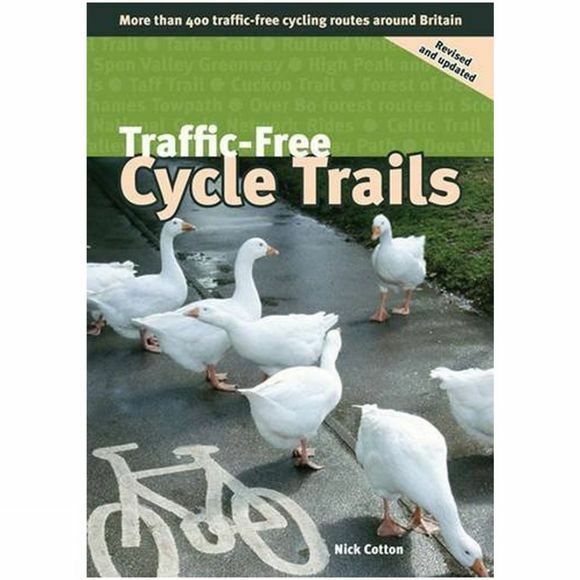 This is the fully updated second edition of the popular guidebook Traffic-Free Cycle Trails containing more than 400 cycle routes around Britain. Written by Nick Cotton, the book includes a great variety of routes on former railway paths canal towpaths and forest trails. First published in 2004, Traffic-Free Cycle Trails has become one of the country's most popular cycling books. It has proven invaluable for finding that safe and peaceful bike ride increasingly the target of a growing number of families. Readers of the first edition have been surprised with the discovery of local trails of which they were unaware and those travelling with the book have been able to find quality trails in unfamiliar areas throughout the UK without wasting time! It includes route description of rides in every region of Britain. It features an easy-to-use format and is packed with useful information in regional sections. It is helpful for parents planning safe rides with children and novice riders looking to escape traffic.